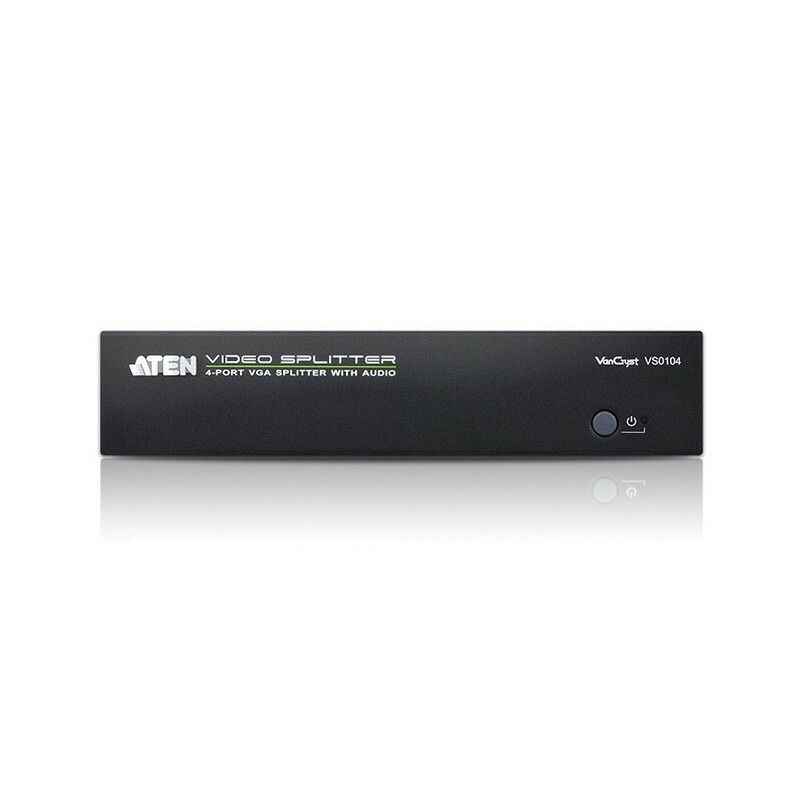 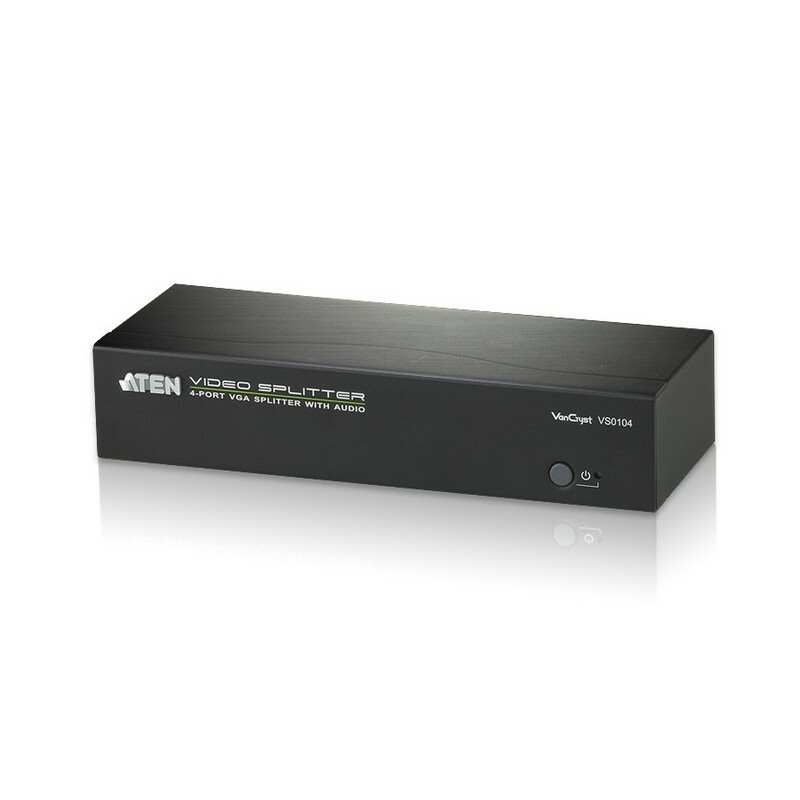 The ATEN VS0104 4-Port VGA Splitter with Audio are VGA splitters that allow a single VGA video & audio signal to be distributed to four output displays with independent stereo control. The splitters supportup to 450MHz video bandwidth, which provides optimum video quality, supported by resolutions up to 1920x1440. 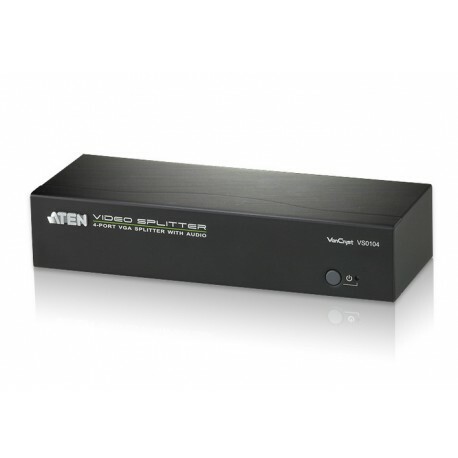 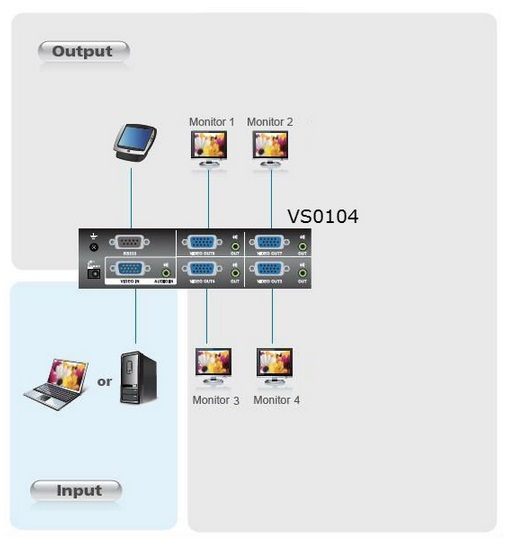 Furthermore, for complete systems integration, serial control isstandard through the VS0104’s built-in RS-232 ports, which allow the splitter to be controlled through a high-end controller or PC. 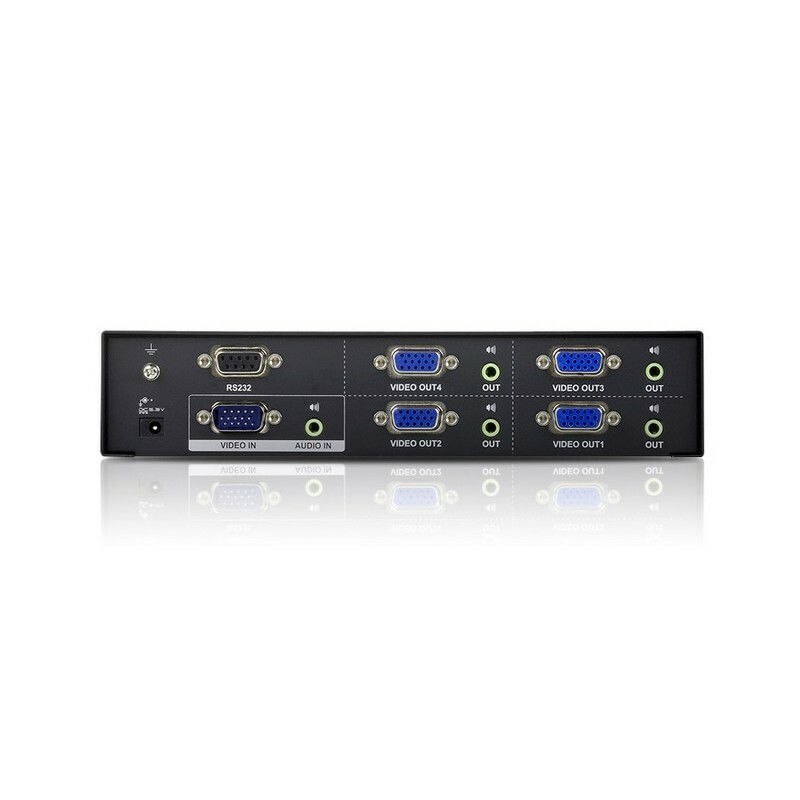 The VS0104 is perfect for conference rooms, training facility & multi-display broadcasting, with cascadable support up to three levels allowing a single video signal to be sent across up to 64 video displays while sustaining the highest quality possible.